2. you are using it as a VPN which uses double out>in>out>in again. 3. Virtualizor is right and your own method has only recorded half. 1. 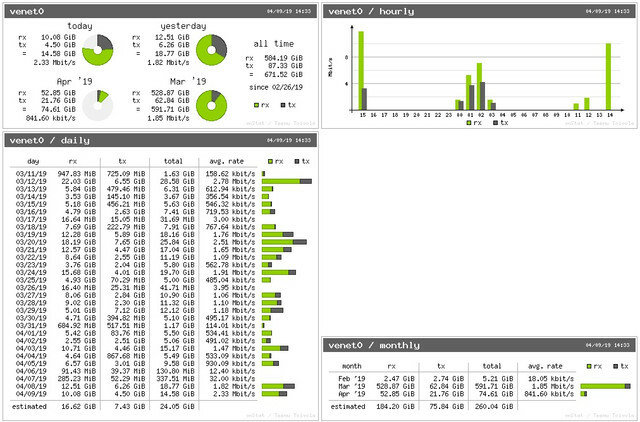 I think you are wrong, because vnstat did not record the stats on venet0, but it record traffic on interface. It was a service with database so no matter how many VPS restart per day it will not affect vnstat performance. 2. I did not use the VPS as a VPN server. 3. Tomorrow I will try to download 10 GB of data on anotherVPS that idling as a comparison. And I will check how many bandwidth used on the VPS compared to the bandwidth usage recorded on Virtualizor. I just find out that the bandwidth meter on Virtualizor panel were wrong. The value recorded on Virtualizor is twice the value of actual usage. 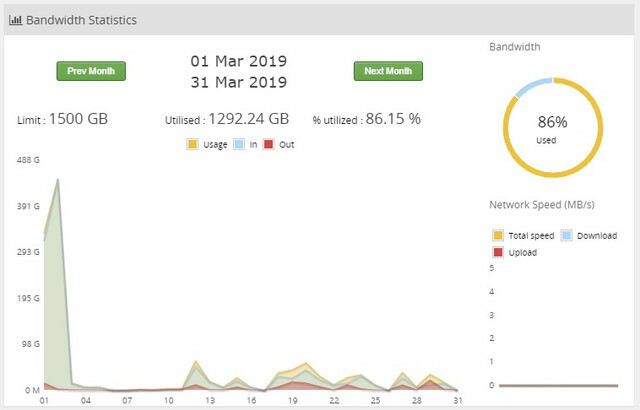 Especially on March, Virtualizor record for bandwidth usage is around 1292 GB while actual usage is around 591 GB. 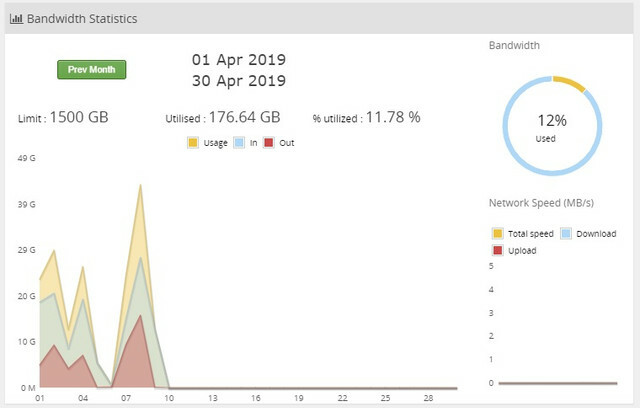 On April, Virtualizor record for 9 days bandwidth usage around 176 GB while actual usage is around 74 GB. I am using vnstat and vnstati on venet0 interface to record actual inbound and outbond traffic. For your information, I attached screenshot from virtualizor and vnstati.